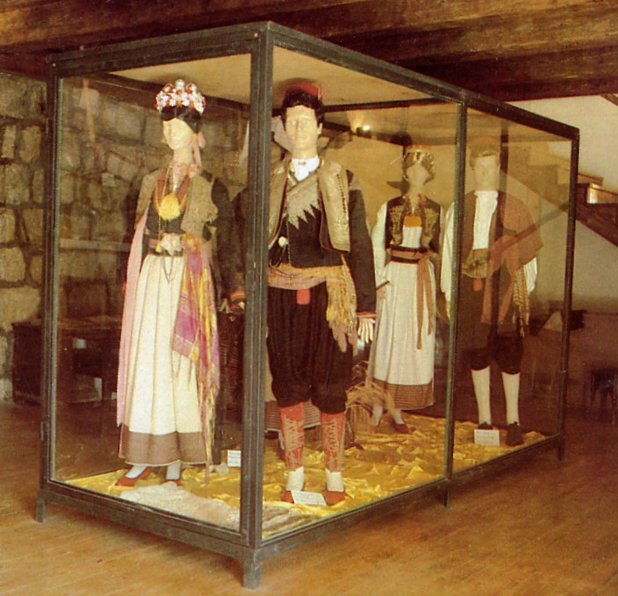 Today i will return to the Dubrovnik area, to describe the men's costume. the woman's costume of south and north Dubrovnik county are quite different, but the mens' is essentially the same. 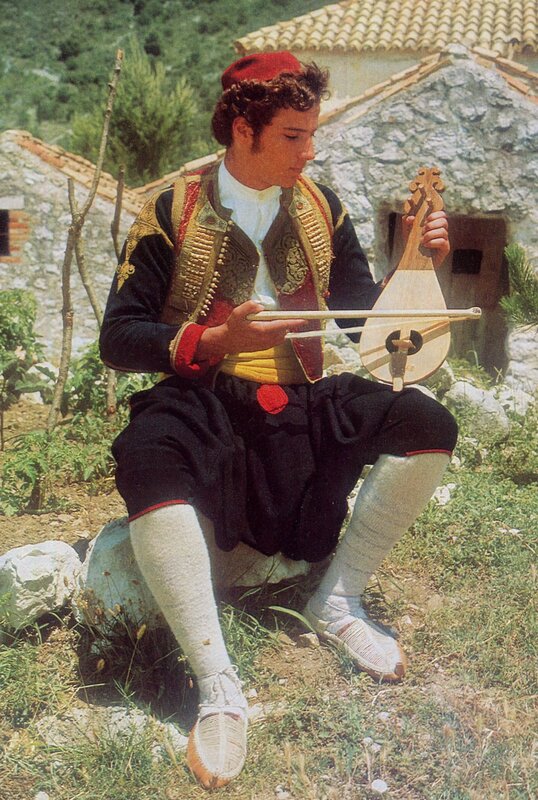 It is a typical representative of the Dinaric type costume, even though it is found on the coast. 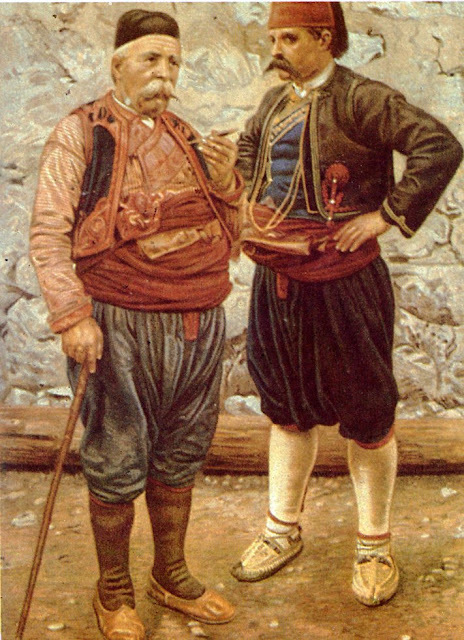 The southern costume is somewhat simplified these days, in that the men tend to wear only one vest. 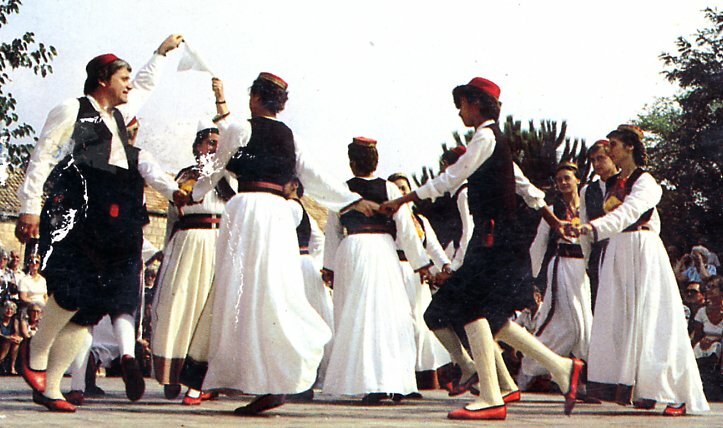 They also wear red slipper shoes instead of the opanci worn in the north. Dubrovnik county is found on the Dalmatian coast, just north of the border with Montenegro. The city of Dubrovnik is found between the regions of Konavlje, to the south, and Primorje to the north. 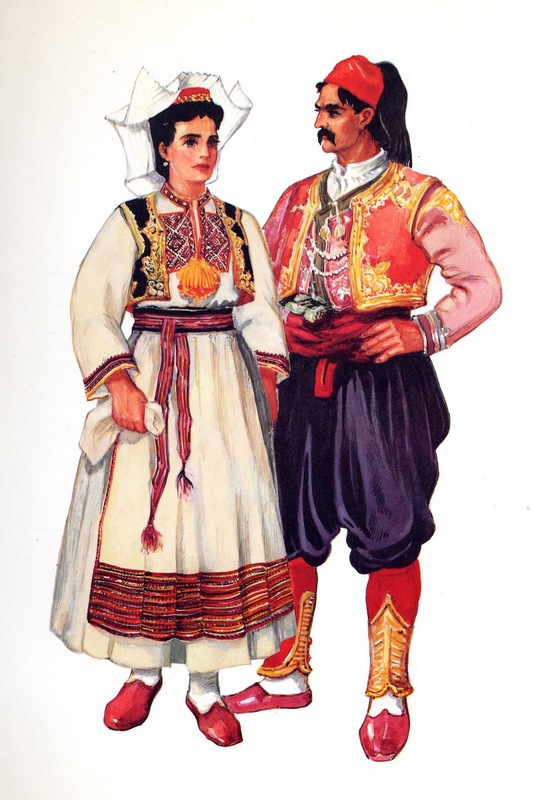 Please refer to my posting on Konavlje costumes for more images. The base of the costume is of course, the shirt, koshulja. It is of white linen without embroidery, and it looks like this. 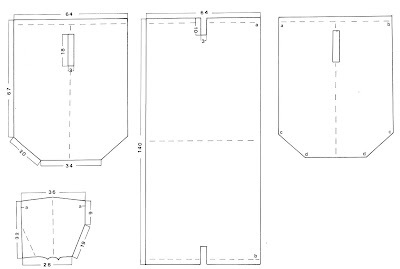 The pants are of wool, either black or dark blue. 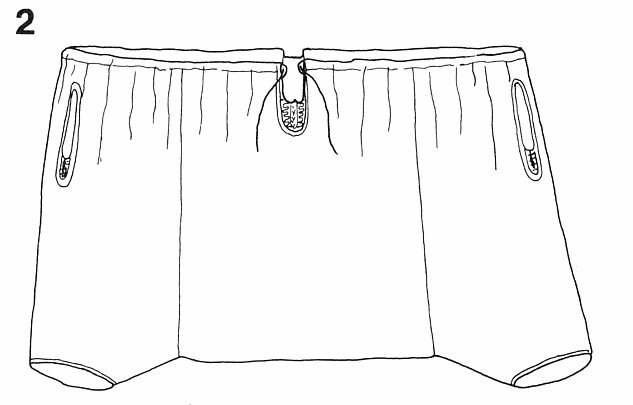 They reach to the knees, are closed on a drawstring, and are edged with red around the leg opening. They also have red braiding below the small opening in front, and around the pockets on each side. Long white knitted stockings are worn. Over this, in Konavlje, they wear red slipper shoes, and in Primorje, opanci with very small toe points or none at all, and have the tops braided with white cord instead of strips of leather. 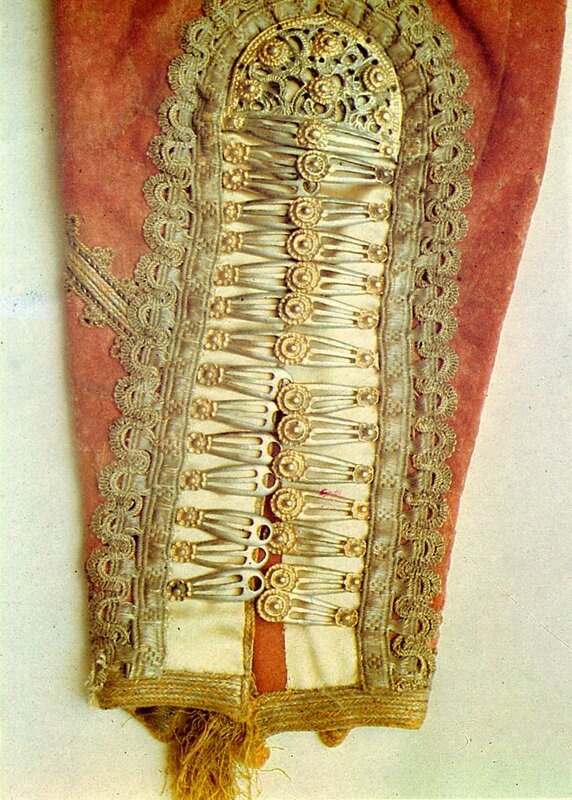 Formerly, red gaiters with gold braid applique and brass buckles were worn. These are seldom seen today. A short red cap is worn, formerly with a black tassel, but today usually without. 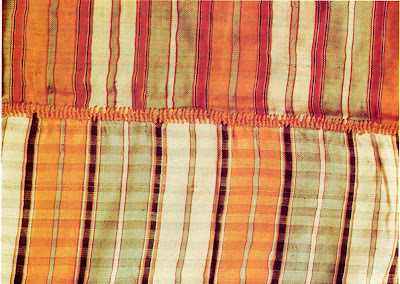 A wide sash is worn, sometimes in wool of a solid color, but often of silk woven in a plaid material. This is wound around the waist several times. 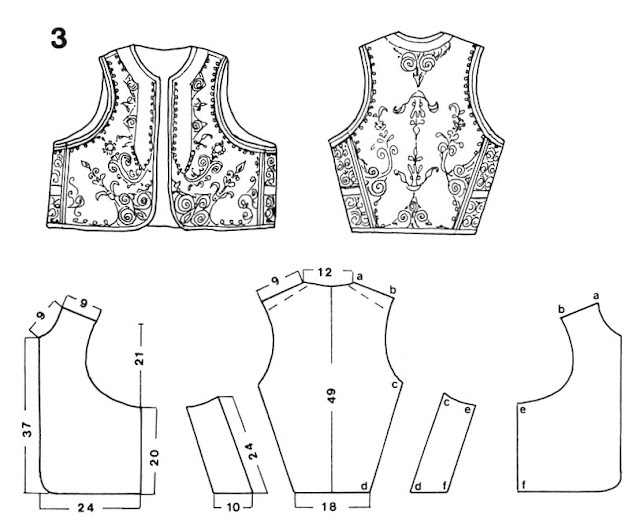 Originally, the costume was finished with a double-breasted vest, over which was placed an open jacket, over which was worn another vest, see the images above, especially the young man at the top of the article. Today one often sees only one vest being worn. 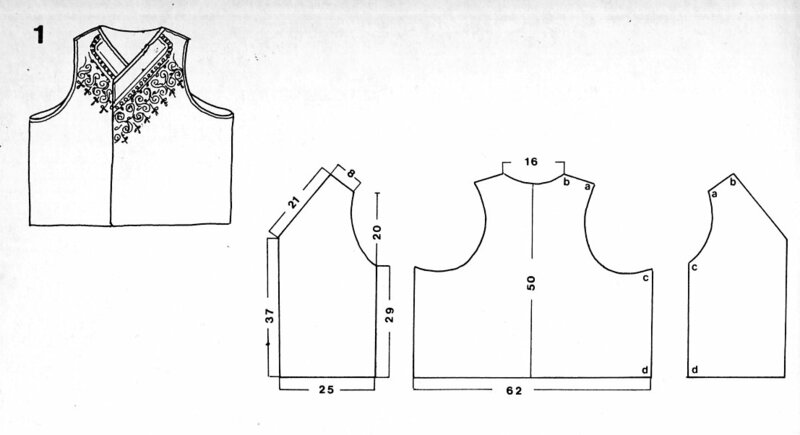 The double breasted vest, which is very common in the Dinaric Region, is usually called Djamadan, but in this area is called Presomatiča. 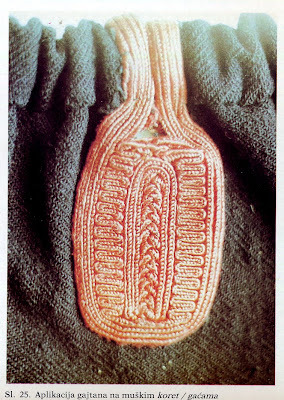 It is most commonly worn closed with two rows of hooks. 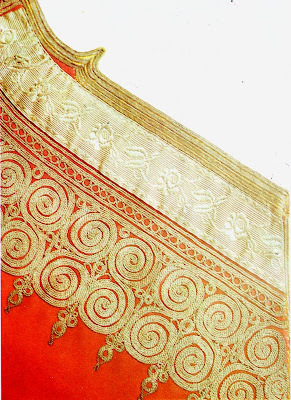 It is usually red, with gold galloon and gold braid applique on the front only. Today in Konavlje, it is sometimes worn as the only vest, most commonly in black with black braid applique and decorative spherical black or silver buttons. 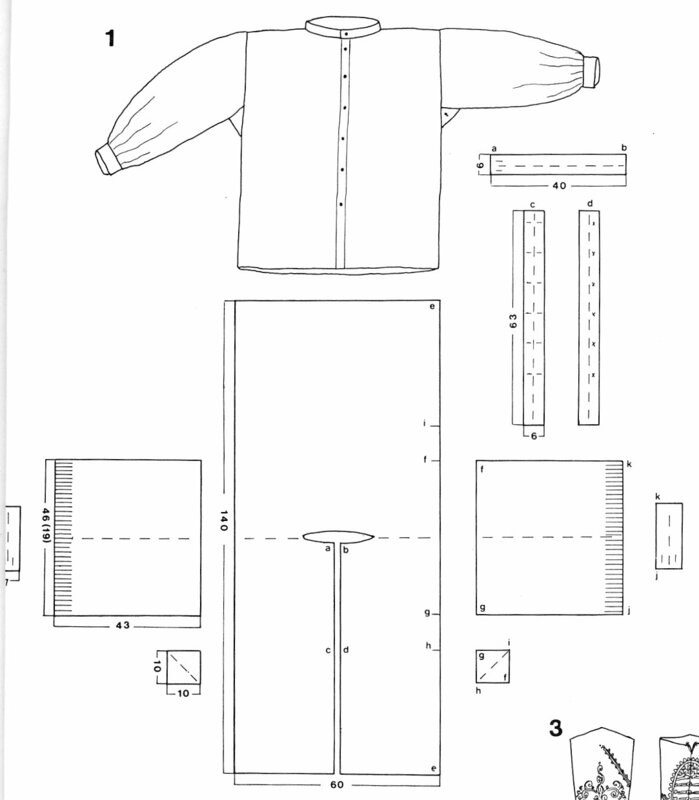 A short jacket with long sleeves may be worn over this, called koret. 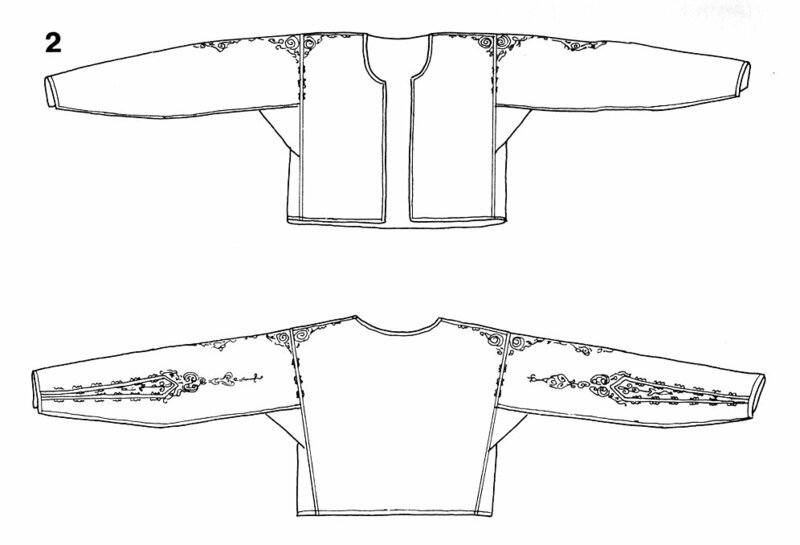 It sometimes has a slit in front of the sleeves so that they may be left hanging down the back. 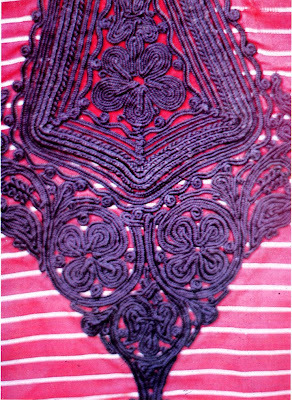 It is usually of wool, and may be red, maroon or black, with a great deal of braid applique on the sleeves, which is generally the only part that shows. 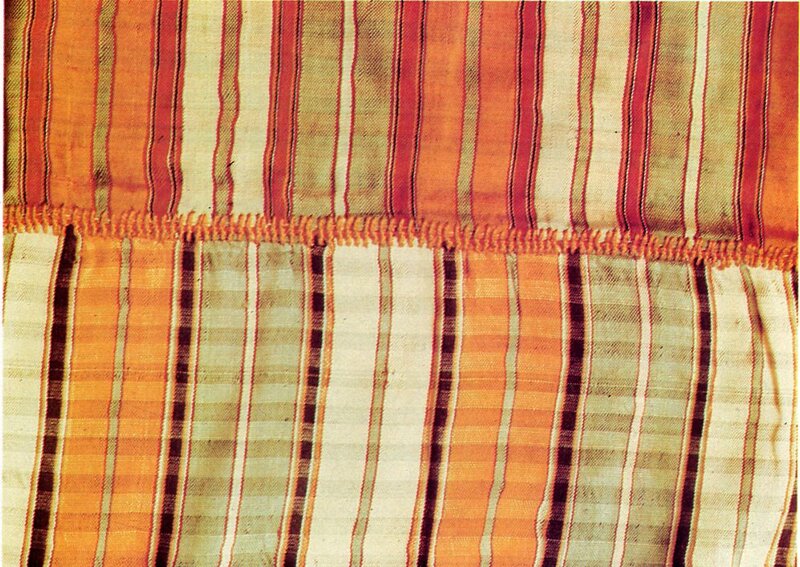 Previously they were often made of silk, in which case they were either red, or with narrow red and white stripes, so that they appeared pink at a distance. 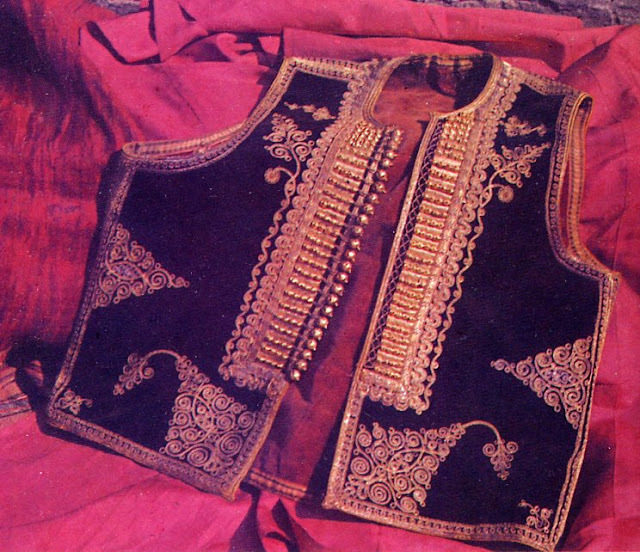 This garment is rarely worn today in Konavlje, but they remember it. 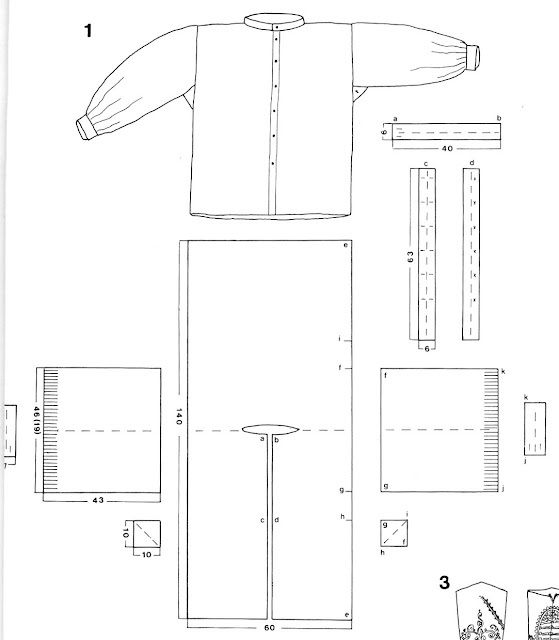 presomatiča, thus forming one garment. This seems to be what Kirin is showing in his prints, as well. Note that when the presomatiča is worn closed, the sash is worn over it. The third, topmost vest in this region is called fermen. 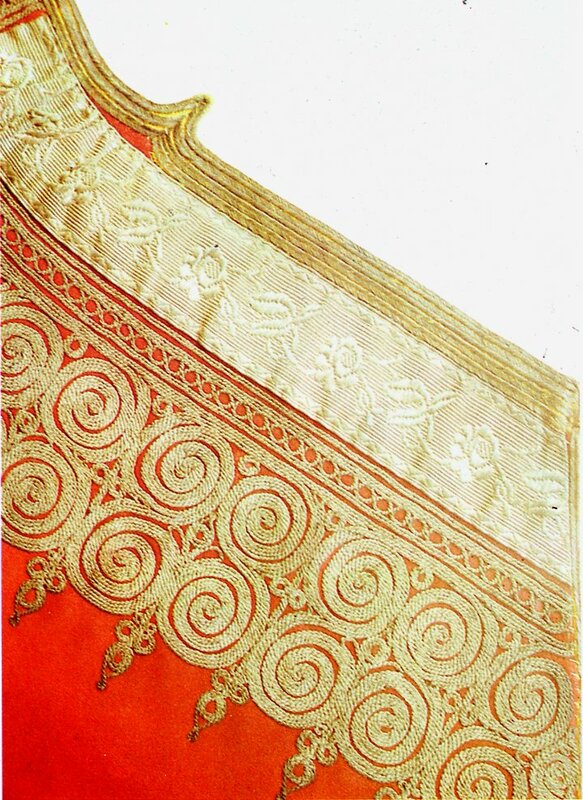 It is highly decorated, as it is the most visible, on both the front and the back. 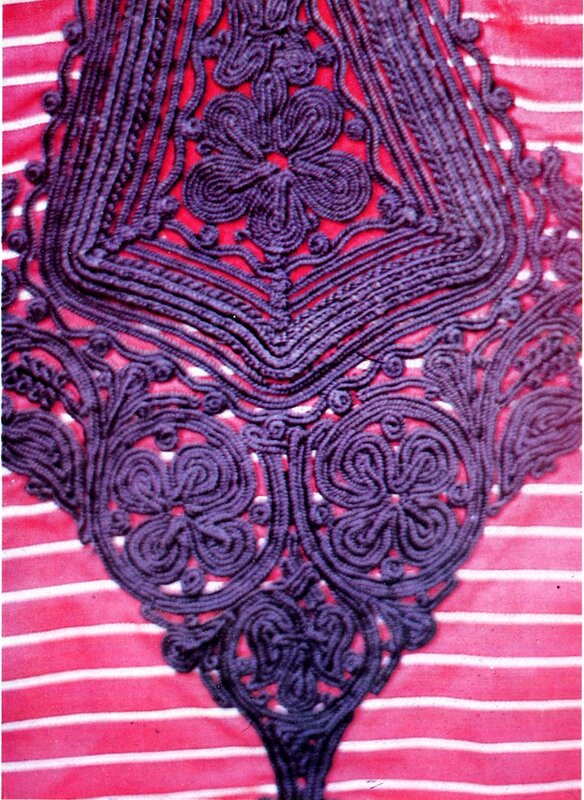 It is of wool, and may be red or black, with gold, red or black cord applique. 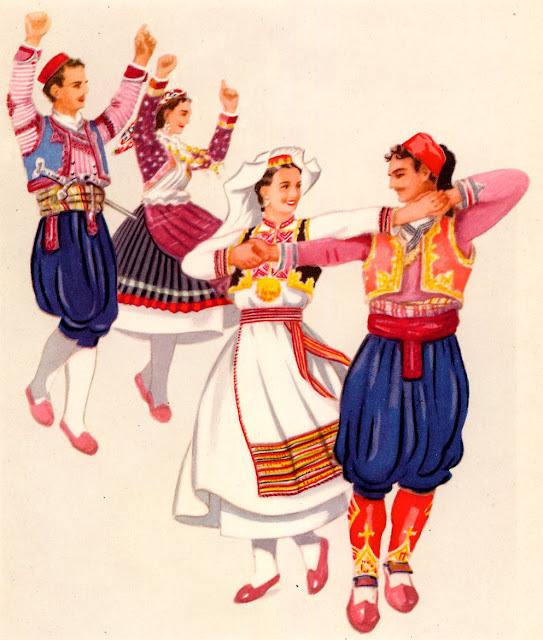 It may also have silver or gilded silver plates on the front, known as toke, as in other parts of the Dinaric region. 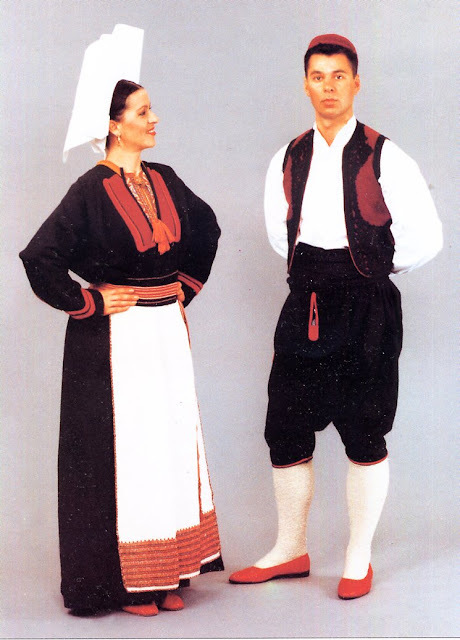 Today in Konavlje, it is usually worn by itself, without the jacket or presomatiča, most commonly in black with black cord applique. 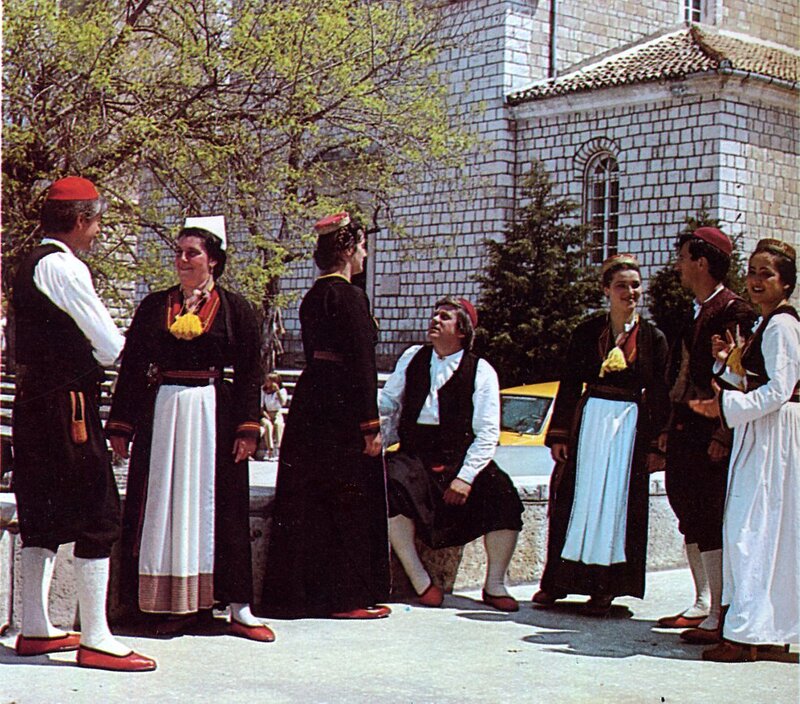 Here is a video of dancers from the Primorje region, north of Dubrovnik doing the local dance Lindjo. [I love this dance] The video starts with the women singing. The men enter about a third of the way through. 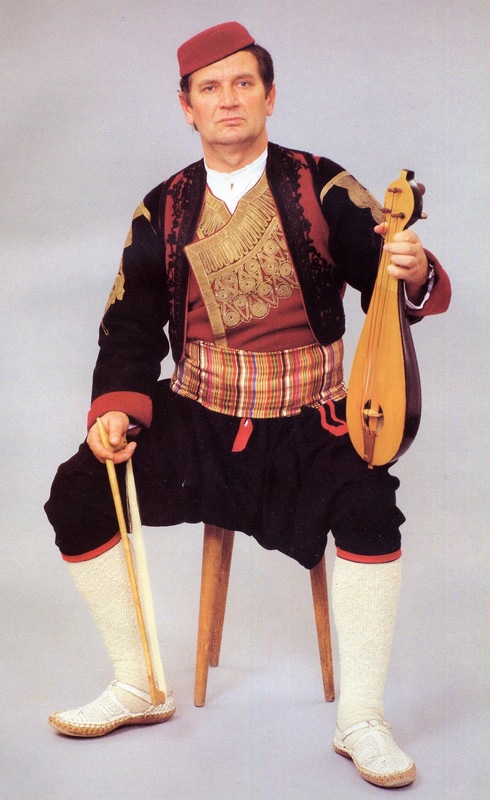 The musician is wearing hard shoes because they provide the only percussion. 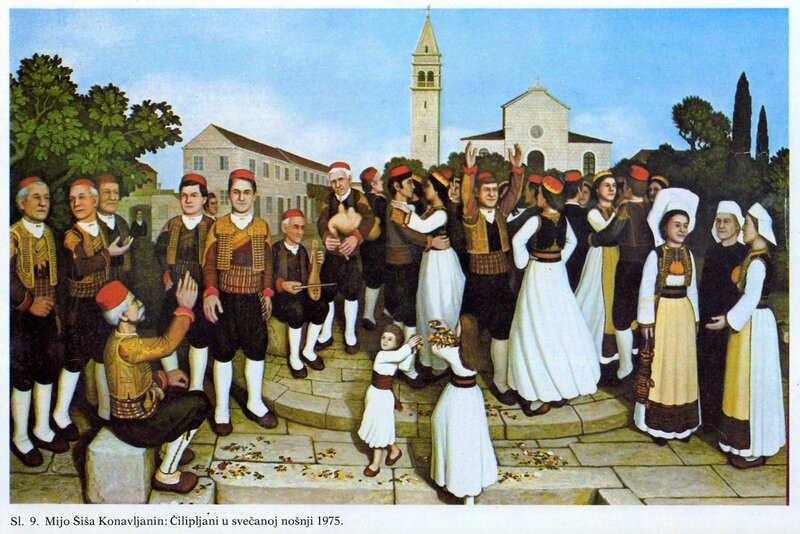 Here is another version of Lindjo with the women wearing another costume from Primorje. Notice that the men are dressed essentially the same. Here are a couple of videos of dances from the Konavlje region, south of Dubrovnik. This one shows Potkolo. They do Lindjo there as well. Hello, You have a wonderful source of information! thank you! 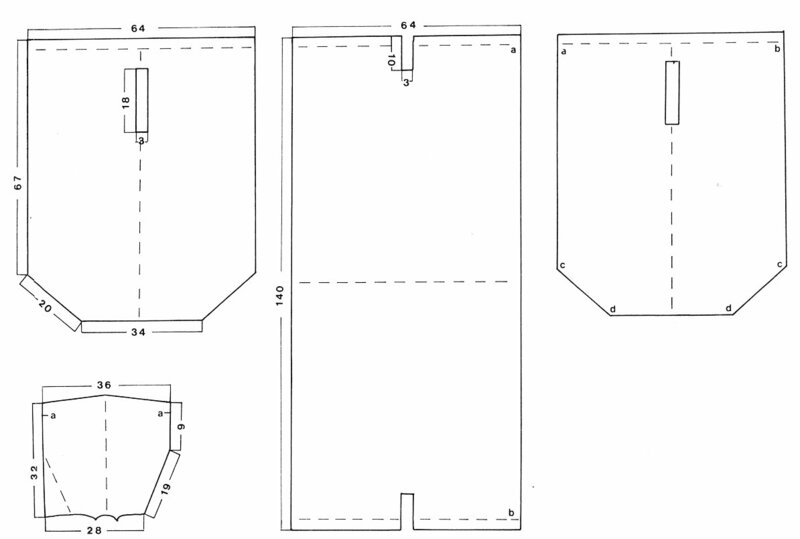 One question, your measurements, are they in metric or standard units?